The CE designation is a competitive advantage. By offering a rigorous process to obtain the CE designation and, just as importantly, by requiring CE holders to engage in ongoing professional development activities, the CE provides a significant competitive advantage that benefits both the providers and users of evaluation services. Only CE can provide a formal third-party assessment of the suitability of their education and experience as it relates to evaluation, and of their ongoing engagement in meaningful professional development activities. While others may well offer the same qualities, only CE can provide the assurance that their profile has been assessed by a panel consisting of among the most experienced evaluators in Canada. The CES competencies and CE application process constitute a framework for professional development. 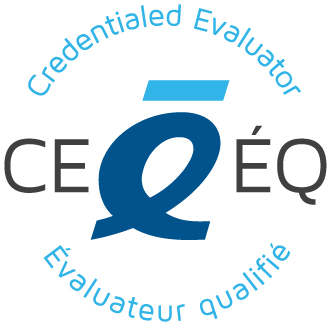 By providing a sound framework supporting the evaluation practice in Canada (including a code of ethic, standards and competencies), the CE designation offers on-going guidance to evaluators as they strengthen their experience and expertise. The process of obtaining the CE designation and its associated requirement for ongoing professional development allow each CE to better assess his or her current strengths and identify priority areas for further development. More than a one-time assessment of one's evaluation profile, the CE designation represents an ongoing process that collectively guide the evaluation practice in Canada, while allowing a variety of evaluation models to evolve in response to specific needs and realities of program stakeholders.